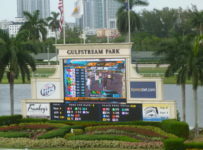 Gulfstream Park and Tampa Bay Downs will resume racing on Wednesday, and both are preparing for stakes races on the upcoming weekend. 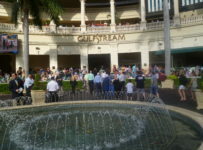 At Gulfstream, there also is excitement about a Rainbow 6 carryover that has grown to almost $3.8 million. 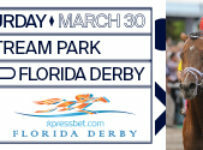 And there is the prospect that Gulfstream will schedule a mandatory payout of the carryover on Saturday March 31, which is Florida Derby day. 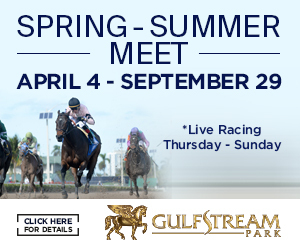 On Wednesday, Gulfstream’s first post will be 12:35 p.m. for a ten-race card. 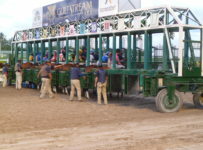 The Rainbow 6 carryover is $3,792,365. 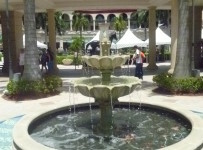 It will be on races five through ten with the sequence scheduled to start at 2:35 p.m. 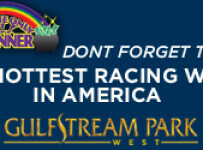 The Rainbow 6 has gone 36 days without the jackpot/carryover payoff requirement of just one ticket with the winners of all six races. 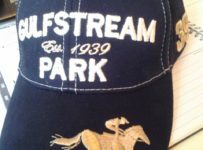 On each of those days, Gulfstream has taken out 20 percent of the day’s new Rainbow 6 bets, while dividing 56 percent among tickets with all six winners and adding 24 percent to the carryover. 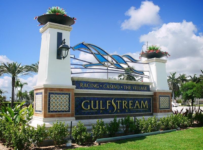 On Wednesday’s first race, Gulfstream has a carryover of $11,015 on the Super Hi-5.We will have additional details on the Rainbow 6 on Tuesday—including analysis of how the carryover has grown and a look at Wednesday’s races. 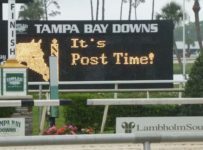 On Wednesday, Tampa Bay has nine races with first post of 12:50 p.m. There are no carryovers on the card. 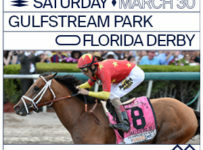 On Sunday March 25, Tampa Bay will have its annual Florida Cup Day with six stakes races. 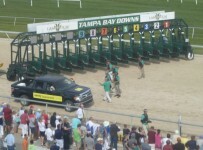 All six have $100,000 purses and are restricted to Florida breds. 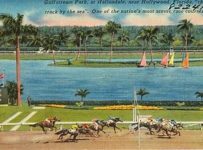 *Turf Classic- 1 1/8 miles, 4-YO and up. On Thursday afternoon, Tampa Bay will draw entries for its Sunday card. 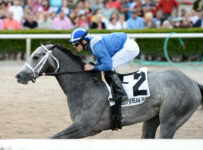 The $100,000 Hutcheson Stakes (Grade 3) is six furlongs on dirt for 3-year-olds. The $75,000 Any Limit Stakes is six furlongs on dirt for 3-year-old fillies. 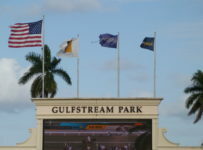 Gulfstream will draw and announce entries late Wednesday afternoon for its Saturday card.